Amhara regional State Islamic Affairs secretary says political forces are behind burned mosques in Este town, South Gonder and the intent is stirring religious conflict. Two mosques were blazed in Este town in South Gonder zone of Amhara regional state around 4 pm local time yesterday. Another mosque was attacked and several stores in the town were plundered. Amhara regional State Islamic Affairs has issued a statement regarding the incident. 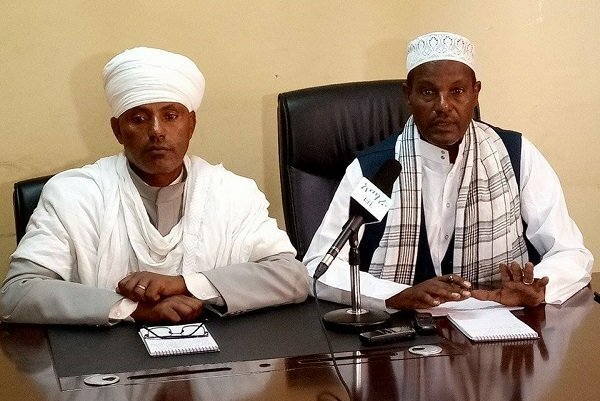 Sheik Muhammed Hassan, the region’s Islamic Affairs Secretary, told Amhara Mass Media Agency (AMMA) that he does not believe that the incident is motivated by religion. He rather sees it as a plot by political forces who aim to bring about conflict between people who have been living together in peace and affection irrespective of religious difference. “Religion is meant to build a country, not to destroy it,” Sheik Mohammed is quoted as saying. He believes that political forces who failed to bring about chaos exploiting other means are now using religion to create instability. The issue that culminated into burning of mosques in Este started in the morning as decorating an outdoor shade in the mosque was underway for a wedding ceremony of a Muslim man. Image of the Virgin Mary happened to be found on the ground along with shredded papers used for decorating the shade. Then, in the afternoon the mosques were burned. The regional state has reportedly deployed a task force to restore calm in the town and then to identify the culprits involved in the burning of the mosque. While notable activists like Daniel Kibret call for holding those responsible for it accountable both culturally and in accordance with the law of the country, they undescore that the Mosque needs to be rebuilt –seemingly by the Christian community in the town. Attempt to bring about religious conflict has been one of the challenges facing the governmetn of Abiy Ahmed. And it is now recurring in different parts of Ethiopia. About three weeks ago, followers of Ethiopian Orthodox Church were attacked during a solemn procession of the Ark of the Covenant on the occasion of Timkat (Epiphany). The incident was apparently orchestrated by groups with political motivation. In the first week of August 2018, about 11 Ethiopian Orthodox Churches were burned down in Jijiga, South Eastern Ethiopia. At least, two priests were burned to ashes along with the churches. That too was believed to be politically motivated action to bring about religious conflict which is, in turn, believed to cause ethnic conflict as well due to alignments of ethnicity and religion in some parts of Ethiopia, as pointed out by Ermias Legesse – ESAT political analyst. Ethiopian government has charged former president of Ethio-Somali region in connection with those burned churches and the killings of over 59 people including priests, among other things. 2 Responses to "Amhara region Islamic Affairs says political forces behind burned mosques"
11 churches churches have not and never been burned in Jigjiga in that week or other!!! Where did you get that information? Make sure information you are sharing is right and is from right source, not that someone and/or some biased media said so or wrote it. Wrong information can ignite hatred and I do not think that is your objective. You must varify information before releasing, you have said 11 churches burned Jig-jiga,this is baseless and lie. Those wrote such kind of information broke the ethics of journalism,so they must be accountable their devil news.